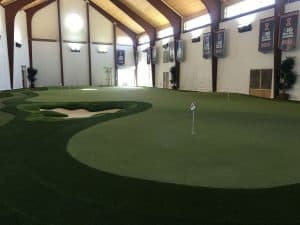 Artificial Golf Putting Greens and Synthetic Turf in Quebec City and throughout Quebec. Celebrity Greens Quebec designs and installs artificial grass lawns, sports turf, playgrounds, dog areas and synthetic grass putting greens throughout Quebec City, including Haute-Ville, Basse-Ville, Parliament Hill, St-Roch, Cap Blanc, Saint Jean Baptiste, Montcalm, Saint Saveur, Saint Sacrement, Lairet, Duberger Les Saules, Plateau, L’Aeroport, Pointe de Ste Foy, Chutes Montmorency, Vieux Moulin, Saint Emile, Loretteville, Des Chatels, Val Belair and the entire surrounding area. Free Consultation & Design Estimates in and around Quebec, call 1-888-507-7960. 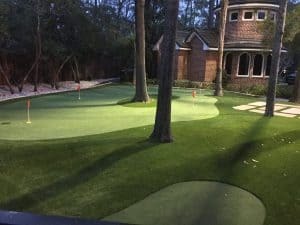 Celebrity Greens Quebec City is the Authorized Dealer, Designer and Installer of Artificial Grass, Artificial Turf and Artificial Putting Greens for the entire Quebec City area. Celebrity Greens Quebec City offers complete landscaping services, and we are proud to offer products that require very low-maintenance while remaining lush and green through every season and all weather conditions. Contact us today at 1-888-507-7960 for a free consultation!